After the success Telltale had with The Walking Dead, it only made sense to stick to the formula and bring another comic to life. They really struck gold with Fables. The fan base of the comic series alone could carry the game sales. Putting that aside, though, the game does not seem like it will fail to impress fans of old or new. 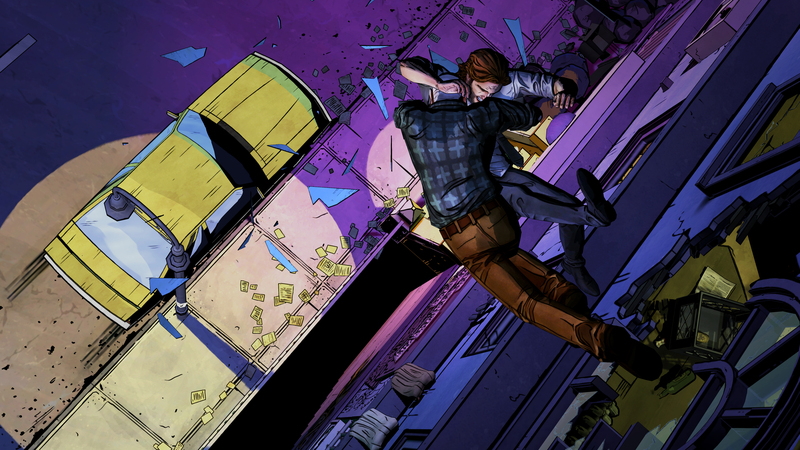 The Wolf Among Us will be split into episodes and, much like The Walking Dead, is a point-and-click adventure game. I don’t think I can explain how excited I was for this demo, and it absolutely did not disappoint. 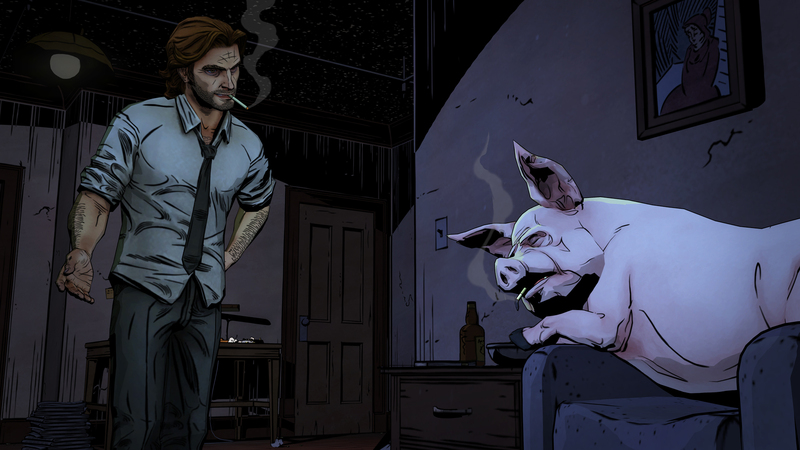 The Wolf Among Us takes places in the Fables universe, a comic created by Bill Willingham. The story takes place before the comics, allowing players to have no prior knowledge of the series before they pick up the game and still enjoy it. I was incredibly lucky to be able to talk to The Wolf Among Us’ writer Pierre Shorette and co-director Nick Herman at PAX Prime 2013. Fables picks up where most fairy tales end and shows that “happily ever after” isn’t all sunshine and rainbows. Instead, the world where Fables takes place is much more gritty, setting the story in New York City, and all the fairy-tale characters live in an area known as Fabletown. The main character of the game is Bigby Wolf, more commonly referred to as “The Big Bad Wolf” in fairy tales. Characters from other fairy tales include Mr. Toad from The Wind in the Willows, one of the pigs from The Three Little Pigs, Snow White, and many more. The demo starts off with Bigby paying a visit to Mr. Toad regarding a noise complaint. When Bigby arrives, Mr. Toad is walking around as a toad, not having used Glamour. For those who don’t know, Glamour is something created by witches that non-human Fables use to give them a human appearance, allowing them to live among the city’s population. Those who cannot afford it are sent to the farm, where they can live without running the risk of being caught. When Bigby confronts Mr. Toad about the Glamour, the player is given a variety of routes to take: nice, angry, give him a second chance or say nothing. Since I have read the comics, I tried to choose my course of action according to the Bigby I am familiar with. I gave him a stern warning, and as I did, a little note popped up in the top-left-hand side of the screen letting me know that he will remember this later. From there, I went upstairs to address what had actually called me to the residence. There was a fight happening, and Toad wanted assistance. When you enter the room, which I kicked down the door to get into, you find that your wonderful friend the Woodsman is there with a dark-haired lady. Naturally, with the Woodsman and the Big Bad Wolf in the same room, things would heat up quickly. I don’t want to ruin anything for you, but I will tell you axes are involved! Below is the trailer released last month that the demo mostly follows. The demo available at PAX was played using an Xbox 360 controller. At times, I found the controls to be a bit difficult, mostly in the fight scenes, when you need to align certain things or pick things up. This is easily solved by playing on a computer, which I think would be the best platform for the game. Two things that really stood out to me in this game were the art style and the writing. Telltale very obviously spent a long time on getting the design of the game and characters just right. To me, I feel it is a fantastic representation of a comic book being brought to life, which is done through the use of cel shading. Keeping with the comic style enriched the experience and helped to make it feel like it wasn’t just another game adaptation of a comic, but part of the comic itself. Pierre Shorette is the writer for The Wolf Among Us, and I don’t think it could have been a better fit. With a point-and-click adventure game, the dialogue and story are the more integral points of the game. Despite the demo not being terribly long, you can easily get a sense of how fantastic the writing is. Each character really has their own distinct personality that the player can influence. While I did not choose it, I loved seeing the option to have Bigby remain silent when talking with other characters. Just having that option gave him more depth and dimension. Mr. Toad is easily my favorite NPC from the demo. His slimy (no pun intended) attitude and Cockney accent made him quite memorable. I wanted to interact with him more! The Wolf Among Us is shaping up to be one of the best games of the upcoming quarter, and I highly encourage anyone who is interested to check it out. Without a doubt, I will be buying it on release day, and that day couldn’t come soon enough!